Do you long for something refreshing after a long tiring day? If yes, then, try this simple orange mojito recipe at home which you can prepare with just a few ingredients. Further, it is an ideal recipe to serve it at the pool party. So, try out this mocktail recipe at home and enjoy with your friends. Now, How To Make Orange Mojito? First, take a cocktail shaker and add mint leaves, orange chunks and lime wedges to it. Now, add ice cubes to the shaker along with lime juice, sugar syrup and orange juice. Then, cover the shaker with the lid and shake well. After that, add the mojito into the glass and top it up with soda. 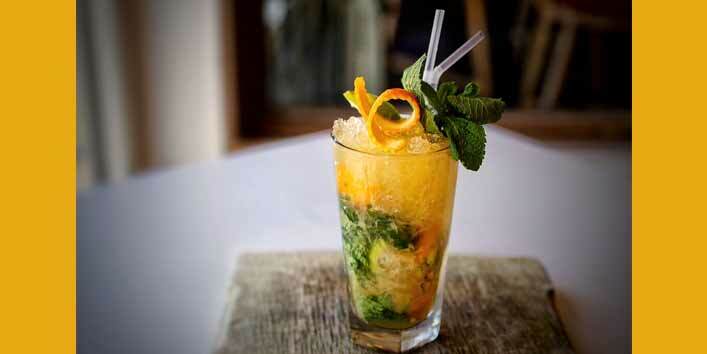 Your orange mojito is ready to be served. If you also have some interesting beverage recipe, don’t forget to share it with us.